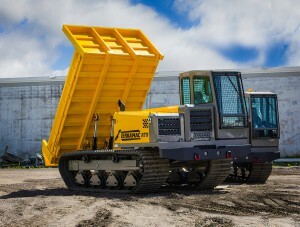 Rig Source took in four used Morooka crawler carrier units on trade with Courtney Construction, and in return they purchased two, new Terramac RT9’s crawler carriers. Rig Source immediately added the Morooka units to their crawler carrier rental fleet, and Courtney Construction is utilizing the Terramac® RT9 crawler carriers on pipeline projects throughout the US. Courtney Construction has been in the pipeline industry for a number of years and specializes in construction, inspection, and maintenance. It is imperative for them to maintain safe and reliable equipment in their fleet, and upgrading to the Terramac® RT9 crawler carrier did just that. If you are looking to upgrade, replace, or purchase equipment, give us a call at 630.365.1649! Rig Source will find a way to work with you to make your next drill rig or crawler carrier purchase as simple as possible.